I read this article and found it very interesting, thought it might be something for you. 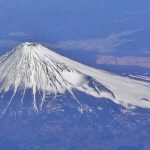 The article is called 8 Regions Guide to Japan: Area in Japan and is located at http://trip-n-travel.com/listicle/10866/. When thinking about Japan, most people might first only conjure up an image of the buzzing streets of Tokyo. But the country is laid out into 8 major regions and each one has a culture and history unique in the country. So let’s take a closer look at each region and what makes them stand out from the rest. Japan’s Northernmost island is its most pristine, which makes it a great place to visit if you want to get outdoors and see its sweeping landscapes and diverse wildlife. Hokkaido comprises 20% of the landmass of Japan but only 5% of the population. In contrast to the main island of Honshu, Hokkaido doesn’t see nearly as many visitors and can feel quite spacious for most of the year. It very much is Japan’s last frontier. 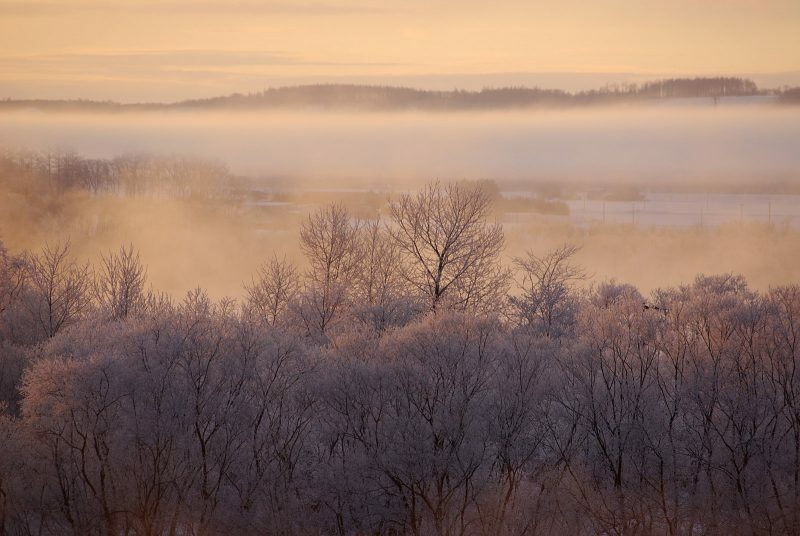 Both summer and winter season are top times to visit Hokkaido. While summer visitors are attracted to the long days, warm weather, and budding natural scenery, winter-goers are all for taking advantage of fresh, untouched powder at one of the island’s world-class ski resorts. Hokkaido was first occupied by an indigenous group called the Ainu, who live there today in villages throughout the island. Much of Hokkaido’s history was shaped by the Ainu and many area names, like Sapporo and Noshappu, come from their language. Though the people have had a tumultuous past in Japanese history, they are in the midst of reestablishing their communities and are getting global recognition and exposure. The capital of Sapporo is the largest city and is usually the central hub for all travelers visiting Hokkaido. Throughout the year, this city will host events such as the famous Sapporo Snow Festival in February, and the Autumn Festival in September. Hakodate is considered the gateway to Hokkaido and is the first stopping point for anyone arriving by train. The town’s star shaped fort, Goryokaku, is a great place to visit during Spring sakura season or in winter when the city illuminates the area with holiday lighting. Hokkaido’s only Japanese castle is located at Matsumae, near Hakodate. Spring is a great time to visit this castle which is surrounded by cherry blossom trees. Akan-ko Lake is popular all year-round. 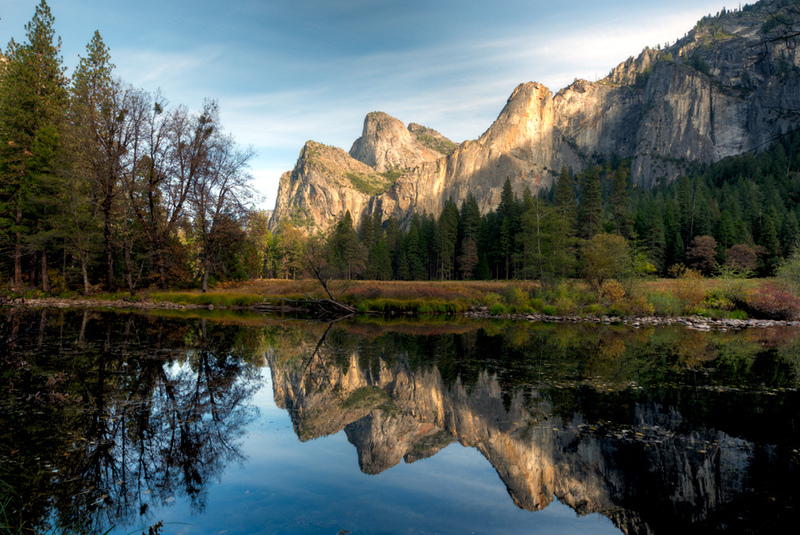 From April through October, it’s warm enough to offer great hiking routes. While in winter, you can watch people ice fishing on its frozen surface. Nearby the lake is Akan Ainu Kotan, one of the most popular Ainu communities offering handmade goods and daily dance performances. If you want to get up close and personal with the wildlife, head to Kushiro Shitsugen National Park to see cranes, deer, and herons. In the North, Asahikawa is a good base to visit the nearby Taisetsu-zan mountain range and the picturesque Biei-Furano area. For winter sports, Niseko is the largest of all of Hokkaido’s ski resorts and is famous all over the world. Kegani or horse hair crab: peak season is April – August and November – December. Tarabagani or King crab: September – January. Zuwaigani or Snow crab: November – March. Hanasaki Crab: August – October. Uni or Sea Urchin: June – August. Not as well traveled as the other regions on the main island of Honshu, Tohoku has a wealth of natural landscapes to offer the visitor. Rugged mountains, deep valleys, and rushing rivers are just a few of the rewards waiting for those who make their way up to this Northern region. 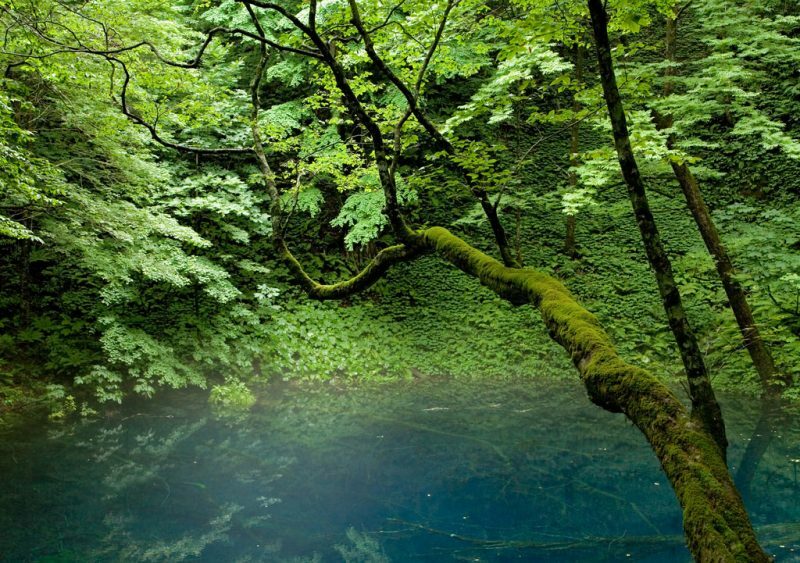 Lying across an active volcano zone, the region offers a wealth of great hot springs and onsens. Its long and storied history also makes it a great cultural destination for those seeking to leave the urban world behind and find some tranquil meditation. Within Tohoku, Fukushima is the site of the 2011 nuclear disaster following the great 9.0 magnitude earthquake. Today, most of the area has been deemed safe to visit and only 10% of the land nearest the nuclear power plant is a no-entry zone for visitors. 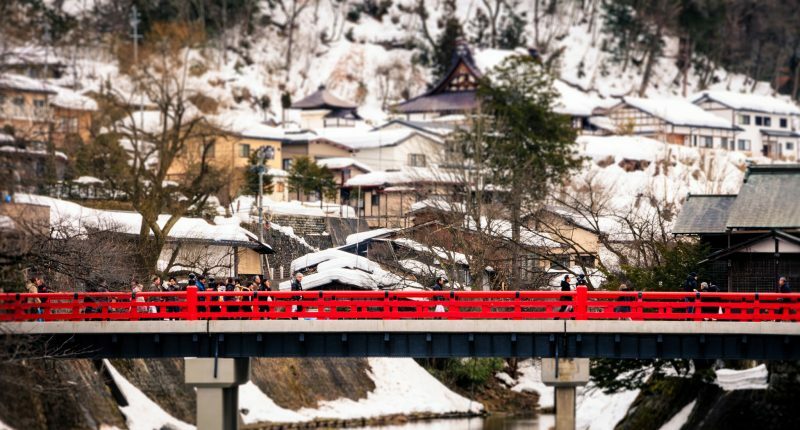 Immerse yourself in Japanese feudal history at Aizu-Wakamatsu, the capital of the Aizu clan whose reign came to an end when they sided with the Tokugawa Shogunate during the Boshin Civil War in 1868. Head to Hiraizumi to visit Buddhist temple complexes once thought to rival Kyoto’s. Chuson-ji is the grandest of the complexes, though a fire in 1337 destroyed most of the original buildings. Hike around the three sacred mountains of Dewa Sanzan in Yamagata Prefecture. The area is holy in Shinto religion and especially to the mountain ascetic cult of Shugendo. Many pilgrims have passed through here, including the famed haiku poet Matsuo Bashō, who was inspired by the area. Relax in the secluded hot springs of Shimokita Peninsula, the Northernmost point of Honshu. Kanto was the home of the Tokugawa shogunate. During that feudal time, the region’s largest city of Tokyo was called Edo and was considered the military seat of power while Osaka remained the hub for trade and Kyoto, the seat of culture. Then in 1868 during the Meiji Restoration, the Emperor moved to Tokyo and the city solidified its role as the center of all levels of political and social life. Needless to say, it caused a bit of animosity back in Kyoto and a friendly rivalry between the two cities lasts to this day. Today, Kanto is a vibrant, thriving metropolis which is home to more residents than any other region. Whether you’re looking for the latest trends in fashion and technology, a tour of all the greatest foods Japan has to offer, or a stroll through a treasure trove of historic locales, Kanto has you covered on all counts. 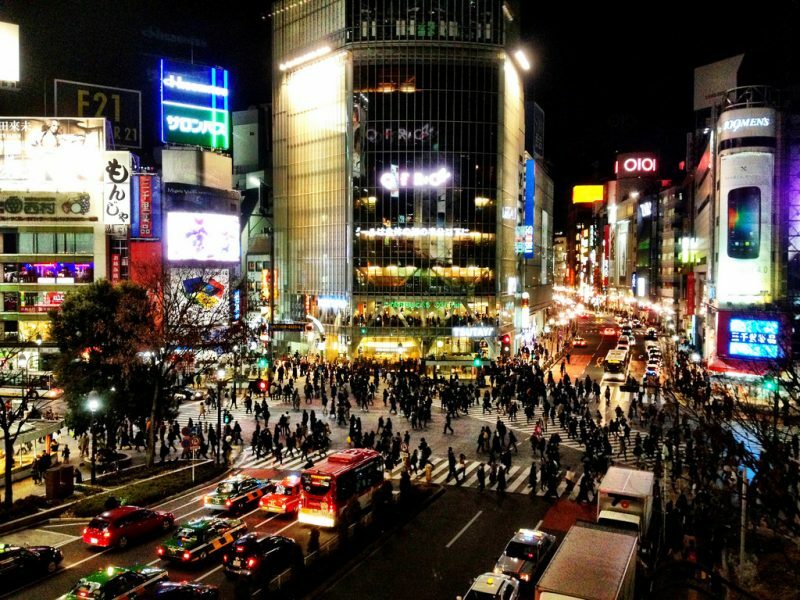 In Tokyo, go to Shibuya Station to watch people cross the busiest intersection in the world. Drop into Tsukiji Fish Market and witness the fast-paced, sometimes frantic commerce going on at the largest fish auction in the world. Hang out with expats and enjoy some nightlife at Roppongi. Get in a temple visit at Senso-ji temple, Tokyo’s most famous Shinto shrine. Get a bird’s eye view of Tokyo from Tokyo Skytree, Japan’s tallest man-made structure. Or watch a sumo match at Ryogoku Kokugikan Sumo Stadium. Head North to the town of Nikko to check out some of Japan’s most historic temples. The UNESCO World Heritage site houses the remains of Shogun Tokugawa Ieyasu, the founder of the Tokugawa Shogunate. South of Tokyo, spend a day strolling through Yokohama’s harbor. Or go there to dine on delicious Chinese cuisine at the largest Chinatown in Japan. Even further South, you’ll find Kamakura, a former capital of Japan when Minamoto Yoritomo made it his seat of government in 1192. A giant bronze statue of Buddha is just one of the many things to see in this historic town. Although Mount Fuji is located in the neighboring region of Chubu, the city of Hakone is inside the boundaries of Kanto. Come to this popular stop-off point to visit the Fuji-Hakone-Izu National Park where sulfur springs and mountainous forests provide you with great hiking opportunities and views of Mt. Fuji. Tokyo has more Michelin Star rated restaurants than any other city in the world. The country’s version of haute cuisine is called kaiseki, so if you’re willing to pay extra for a fancy meal, this is the place to do it. Find an endless supply of ramen shops with ramen styles from all over the country. Shoyu ramen and Tonkotsu ramen are two mainstream favorites. If you dare, try a helping of natto – fermented soy beans. Contrary to the stereotype, not all regions of Japan eat this food. It’s most popular in Eastern Japan, including Kanto. Monjayaki is Tokyo’s version of the Japanese pancake. Kit Kats of all flavors, including green tea and sake. Chubu’s name literally means middle region, and it’s a border between West and East Honshu in both culture and geography. 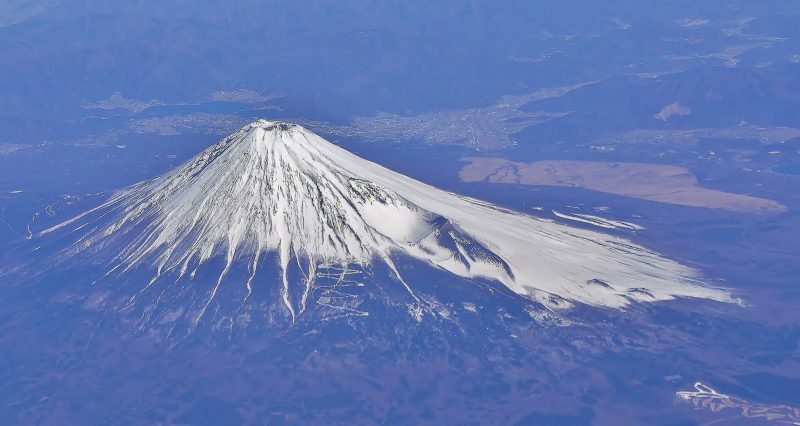 Encompassing the widest part of Honshu, the Japan Alps can be found here and the mountainous region provides a wealth of places to visit year-round as well as some great skiing destinations. The iconic Mount Fuji is also located within the boundaries of this region. And if you prefer to relax during your visit, Chubu has some great beaches on offer on its Eastern coast while the Sea of Japan side can claim dramatic clifftop vistas, amazing temples, and ofcourse, fresh seafood. Climb Mount Fuji to the very top between early July and mid September when the climbing season opens. And don’t forget to visit the adjacent Five Lakes Area. Walk the historic streets of Kanazawa. Along with Takayama, this is one of the best preserved Edo-period cities in the country. Head to Matsumoto to see the oldest standing wooden castle in Japan. Dubbed as Crow Castle due to its black exterior, it’s listed as one of Japan’s national treasures. Go skiing in the slopes of Niigata, renowned both for its great trails and easy access from Tokyo. 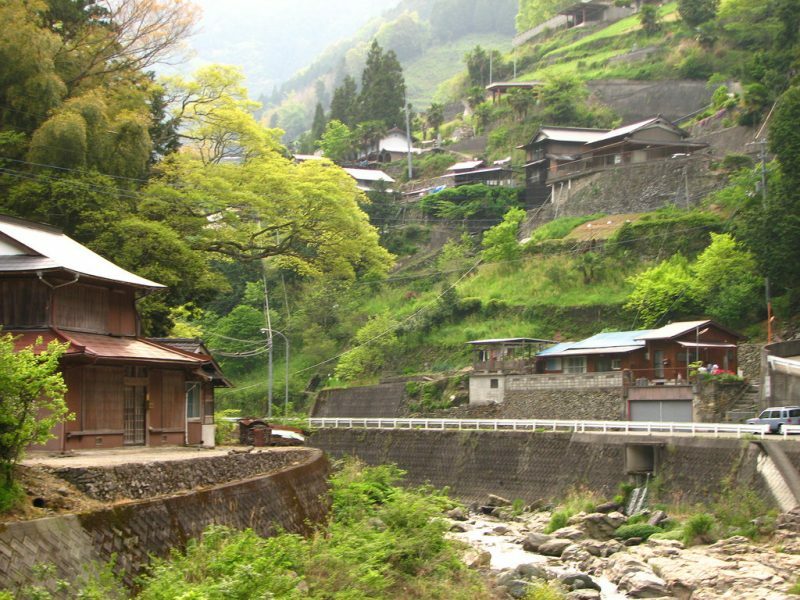 Walk the historic Nakasendo trail which once connected Edo and Kyoto. A great place to do this is between the towns of Tsumago and Magome. Take photos of the Japanese snow monkeys as they hang out in the hot springs for the winter at Jigokudani Monkey Park. Get in some bathing time for yourself at Gero Onsen, one of Japan’s three most famous hot springs. Niigata produces some of the best sake in the country, including the famous labels: Kubota (久保田), Koshinokanbai (越乃寒梅) and Hakkaisan (八海山). Housing the three powerhouse cities of Kyoto, Osaka, and Nara, the Kansai region is Japan’s second largest but harbors a strong rivalry with Kanto. With so many not-to-be-missed cities and sights packed into a small area, Kansai (or Kinki as it’s officially called) is without a doubt a favorite destination for visitors. Both Nara and Kyoto were at various points in time, the ancient capitals of Japan. Kyoto was the imperial capital between 794 and 1868 and many still consider it to be the cultural heart of Japan. Come here to get a glimpse of traditional Japanese culture preserved in time. Nara was Japan’s capital right before Kyoto, though it only lasted 75 years. Until the 7th century, Japan didn’t have a permanent capital as Shinto philosophy dictated that the capital move with every new Emperor. The practice died out with the onset of Buddhism and the Taika reforms of 646, when Imperial control extended through the entire country and Nara became the first permanent capital of Japan. Osaka has long been seen as a commercial hub and the “belly of Japan” with its delicious food district. It was historically the center for all trade with China and Korea and gained even more prominence in the laate 16th century when Hideyoshi Toyotomi chose it as a the site to build his new castle. With 17 listed UNESCO World Heritage sites, you’ll want to do a little planning before visiting Kyoto. Some great stops to consider include Kiyomizu-Dera Temple for its expansive city view, Kinkaku-ji Temple or Golden Temple as it’s more commonly called, Fushimi-Inari-Taisha Shrine with its never-ending orange torii, and Arashiyama Bamboo Grove a little to the West of the city. Finally, don’t forget to make a Geisha siting at the city’s legendary Gion district. In Nara, see the largest Buddha statue in Japan at Todai-ji Temple. Feed wild deer that behave politely and will even bow for you at Nara-koen Park. Stroll through the picturesque Isui-en Garden. 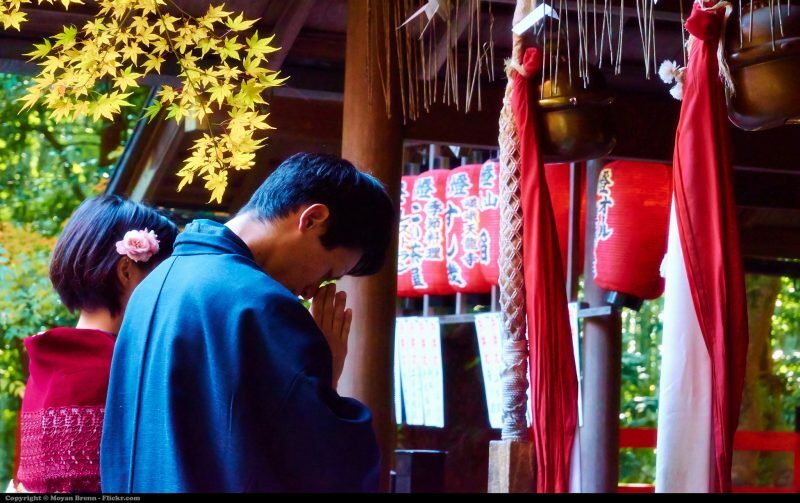 And make a prayer at Nara’s most important Shinto Shrine, Kasuga-taisha. 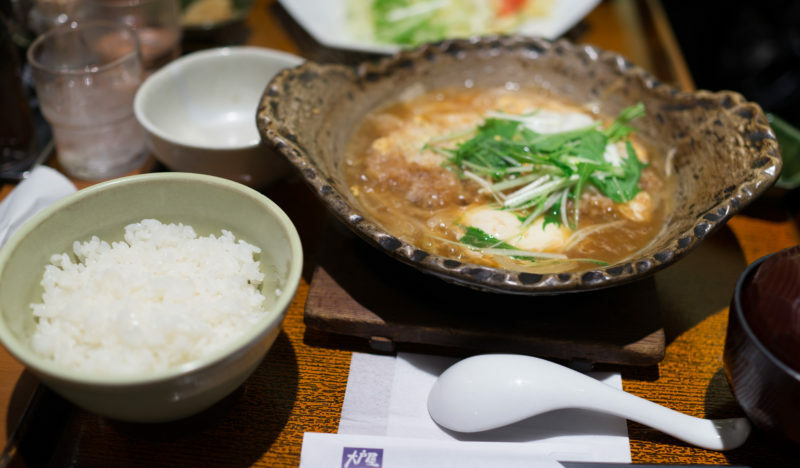 Find out why Osaka is called the belly of Japan by heading to Dotonbori for some great eats. Visit historic Osaka castle. Then get in some contemporary culture at Universal Studios Japan. Have a steak dinner in the city of Kobe. Get the chance to sleep in a temple at the Koya-san monastic complex located in Wakayama. On the shore of Ine Bay in Kyoto Prefecture, see the “Venice of Japan” called Ine no Funaya, or The Boat Houses of Ine. Yuba – a byproduct of the tofu making process. Famous in Kyoto. On the Western end of Honshu, Chugoku might be most famous for the legacy of the atomic bombing of Hiroshima. And while the city is an unmissable stop for anyone in the region, there are many other attractions on offer here. The region is subdivided into the heavily urbanized and industrialized Sanyo Region along the Seto Inland Sea coast and the more tranquil Sanin Region along the Sea of Japan coast. 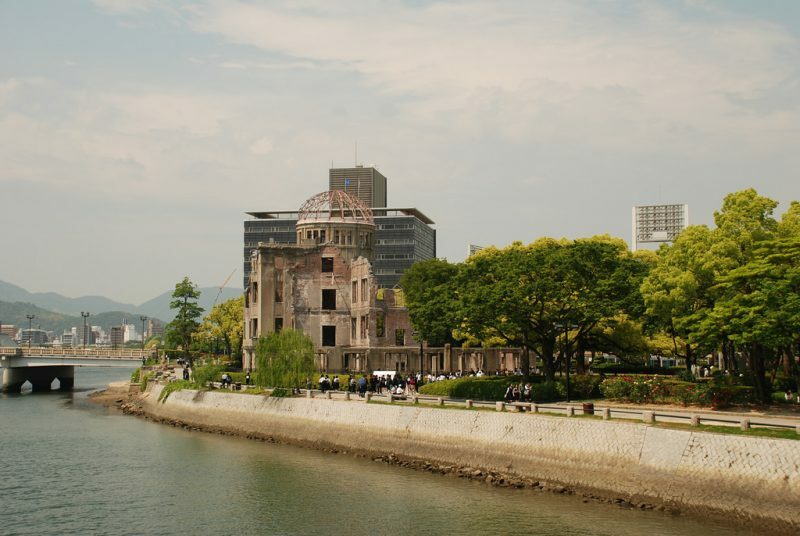 Reflect on 20th century history as you walk through Hiroshima’s Peace Memorial Park. Make an early morning climb up the volcano Daisen. See the floating torii gate partially submerged in water at Itsukushima Shrine. Go to Matsue to see Matsue Castle, one of Japan’s few remaining. See the potentially oldest shrine in Japan at Izumo Taisha. 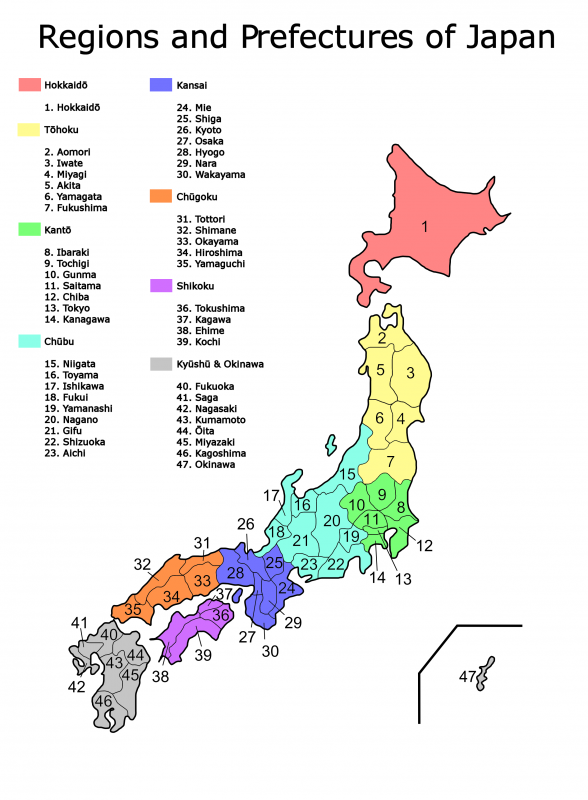 Shikoku was historically divided into four regions, hence its name, which literally translates into “four regions”. The smallest of the four main islands of Japan, Shikoku has always remained fairly remote and rural. Until recent decades, the only way to get there was by boat, which kept it well-preserved and little visited. The land is mountainous and rugged, which makes it hard to cover on foot. Still, that doesn’t stop pilgrims from walking the entire island. They’ll usually head in a clockwise direction following the footsteps of the great Buddhist saint Kobo Daishi, who achieved enlightenment on this island. The 1400km journey is known as the 88 Sacred Temples of Shikoku. But because of the rough terrain, many a pilgrim are said to have gotten lost or perished while making the trek. If you’re so inclined to take the challenge of the 88 Sacred Temples of Shikoku, head to Tokushima to start the path. On foot, the journey will take 1 to 2 months. By bicycle, it will take between 2 weeks and 1 month. And if you just want to drive through, you’ll cover it in 4 days. Shikoku’s largest city, Matsuyama, is best known for the hot springs of Dogo Onsen. Hike through Iya Valley, a remote but beautiful mountain valley. Walk up 1,368 granite steps to pray at Kompira-san shrine in Kotohira. Climb the tallest peak in Shikoku at Mount Ishizuchi. The Southernmost of the four main islands of Japan, Kyushu tends to have a more tropical climate than the others. The Southern and Eastern regions are regularly battered by typhoons each year. The Southern part of the island is heavily lined with mountainous regions while at the top is a wide plain and the site of the island’s two largest cities, Fukuoka and Kitakyushu. Kyushu has a long history as a hub for trade with outside nations. Japan’s historic trade relationships with China and Korea began on this island. Nagasaki is unfortunately most famous today as the second atomic bomb target but was historically the first port city to open up to the West, starting with the Portuguese. It’s where Christian influences took root in the 16th and 17th centuries, leading to the Christian Century, which would ultimately be suppressed by authorities in a backlash against Western influences. Do note that a strong earthquake hit Kumamoto Prefecture in Kyushu on April 14, with an even stronger aftershock two days later on April 16. At the time of this writing, visitors are being notified that seismic activity remains heightened. The area between Kumamoto City and Mount Aso was most badly affected and transportation remains impacted. But most other areas of Kyushu are welcoming tourists. Kyushu’s largest city, Fukuoka, has a lot to offer. 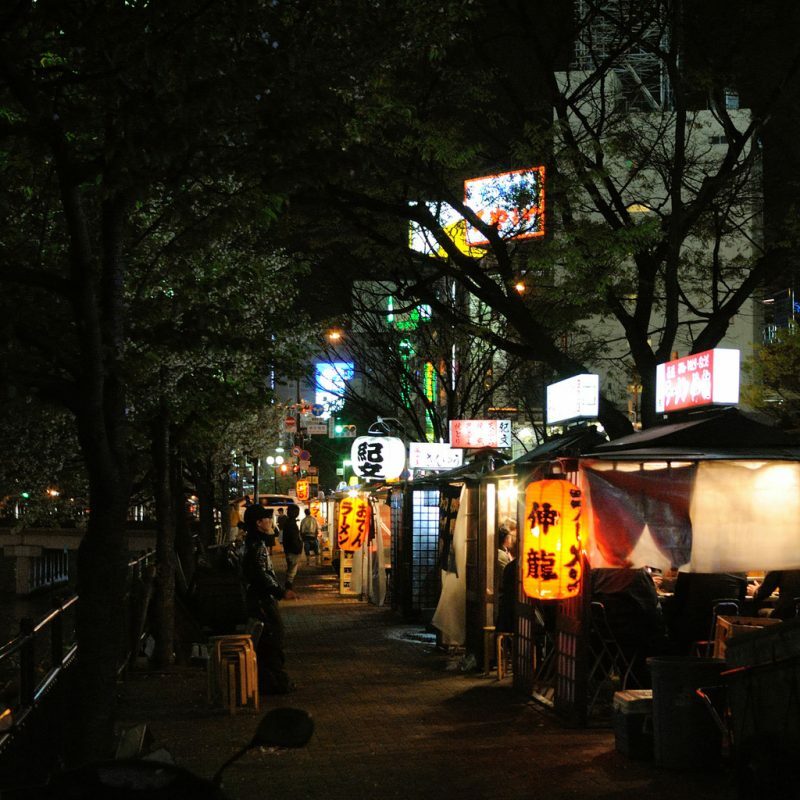 You can get your late night snack fix at the yatai food stalls along the riverbanks in Nakasu. 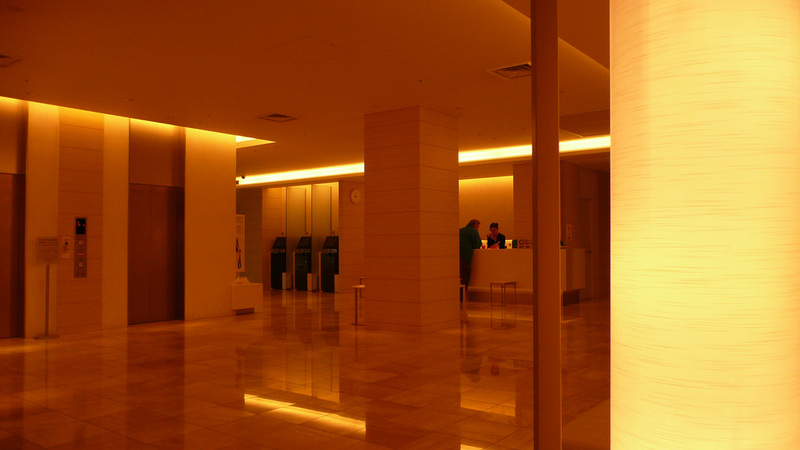 Or head to Fukuoka’s downtown core, Tenjin, to get all your shopping done. Check out Kyushu’s most famous pottery as well as a seaside castle at Karatsu. Walk through historic Nagasaki, a longtime gateway to the West and the second site for the dropping of the atomic bomb. Walk through Suizenji Gardens, one of the most renowned gardens in Japan. And take in the beauty of Kumamoto Castle. Both are located in the city of Kumamoto. Take a bath in one of Beppu’s Meiji-era style hot springs. Cover yourself in hot volcanic sand in Ibusuki. 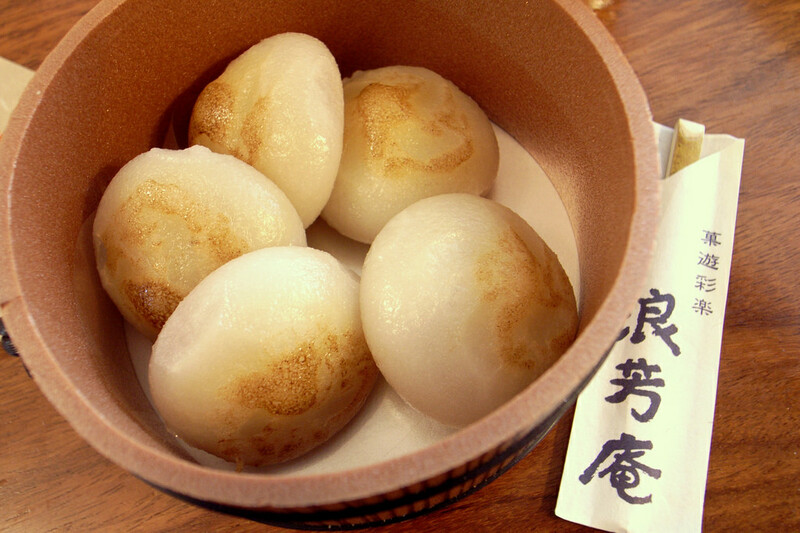 The Southern cities of Kagoshima and Miyazaki are famous for their sho-chu.